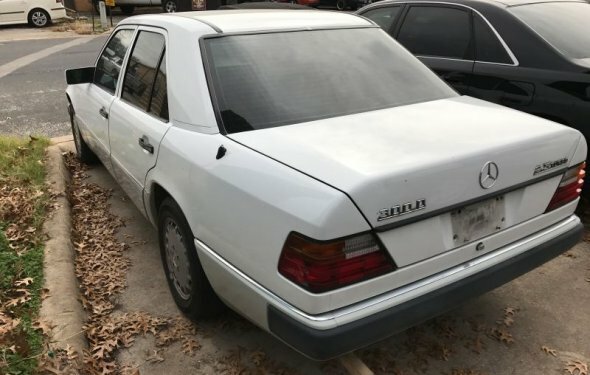 This car caught my attention from a mile away, mostly because I love 80's and 90's Mercedes (my first car was a 1986 190E 2.3), but for a few other reasons as well. It is a 1993 Mercedes 300D 2.5 Turbo, and of course that means its a diesel. These are arguably one of the best and most reliable old diesel cars you can buy. They can easily be converted to run biodiesel or on vegetable oil, get well over 30MPG on the highway and have classic old Benz build and ride quality. This particular car caught my attention for two reasons. First was the odometer - 349k and change. If its gone that long it should be good to go, right? The other was the condition, which was abnormally good for a car of this age and mileage. Other than a few very minor things, it looked like a car with half the miles and 15 years newer. I couldn’t resist and bought it for a grand. Cleaned it up, drove it around for a few days to get a feel for it, considered keeping it for a few moments then threw it on craigslist for $1500 and it sold in two hours.